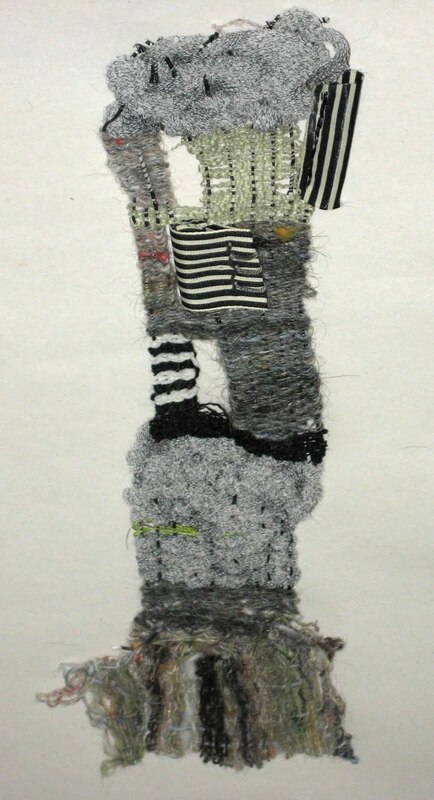 So what's with the term "Art Yarn"? Art Yarns/Slightly edited from a talk I was asked to give to a spinning guild a couple of years ago. OK, so what is “art yarn”? As I mentioned earlier, I think it’s a loaded phrase. I don’t generally use the term. I don't really see the point of these categories and pigeon holes in life or yarn. 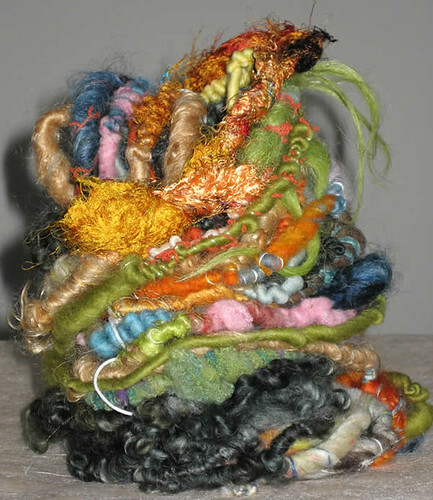 The “Art Yarn” term has been used in a few different ways. 1. 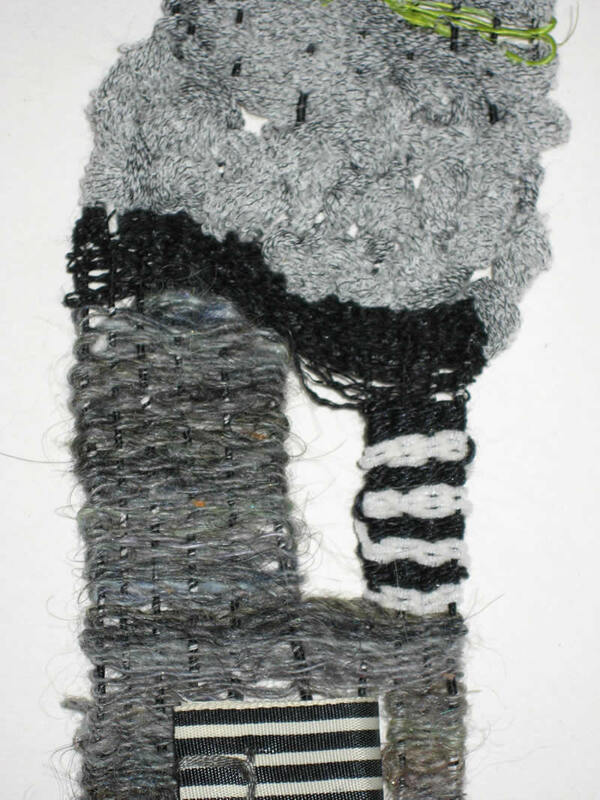 To describe yarn that didn’t turn out the way one expected—“mistake yarn”. 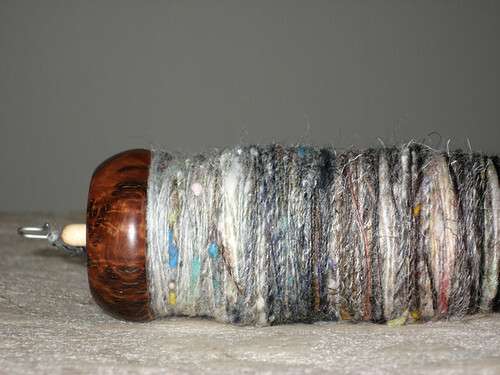 It’s sometimes used to make newer spinners feel good about their yarn. Often, people seem to imply that those making some of the wilder yarns don’t have the skills to make “traditional” yarns, which is usually not the case. As far as I can tell, there’s always been yarn that expanded upon the possibilities of a simple single. 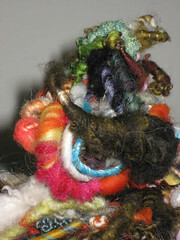 Maybe the first “art yarn” was born when some Neolithic spinner saw a slub in her yarn and said, “Screw it—I like it!”. There are beautiful examples of inventiveness from the Incas. They incorporated feathers into their yarns and designed some yarns so that certain decorative effects would occur when they were plaited. 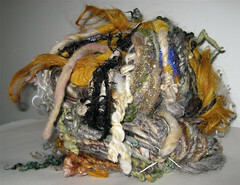 In earlier times, there was much greater variety of yarn created than is created in current times. Weavers demanded them! A number of spinning books from the the 70’s in the U.S. show examples of experimental yarns, addressing the idea that spinning for any length of time would lead one to ask “what if…"? So, in some ways, these yarns that are perceived as less traditional could be seen as belonging to a long tradition. 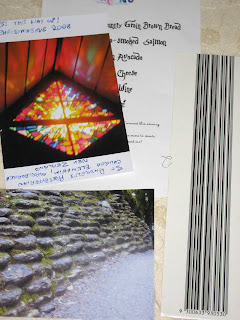 My personal themes and inspirations have been things like imaginary creatures, spirituality, and films. Sometimes I’ve just wanted to express joy or anger, make a yarn portrait of one of my cats or I’m attracted to a certain fiber and want to see what will happen to it if I spin it in a new way. 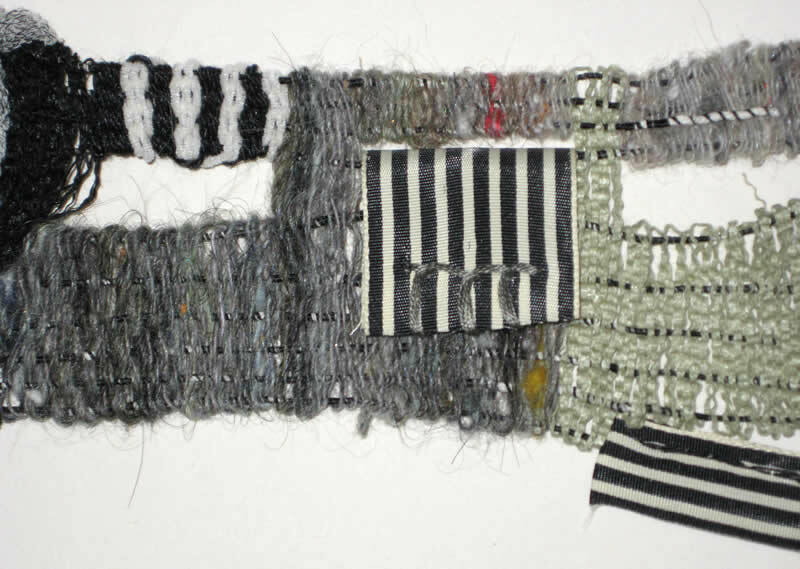 Some sources for inspiring materials: fiber festivals, online retailers, thrift shops, antique shows, button and fabric shops. Some techniques to play with: plying, wrapping, coils, boucle, adding beads, combining materials, multiple plies, corespinning, made up/in the moment techniques. Considerations: it might be helpful to NOT think of the use to which a yarn will be put, maybe think less about the structural integrity of a yarn while in experimental phase. Keep an open mind and create with a sense of play. Capacities of wheels—orifices and hooks can be considerations. But you can be plenty experimental on any wheel! You might have to be a bit more patient to deal with hooks. Spindles have fewer limitations as far as orifice and hooks. Work within your own wheel’s capacity to experiment. Yarns needn’t be spun, but can be created in many other ways. 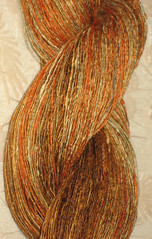 Finishing yarns: I like to make yarns that will withstand most uses I’ll put them to. I skein, wash and store them as any other yarn I make. 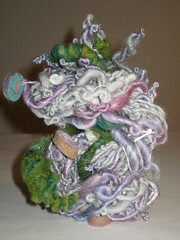 My hope is that we can allow all kinds of yarns to be and that we can appreciate them for whatever qualities they have. And we can appreciate the makers of all the various kinds of yarn, too! Meg initiated a project where we'd pick out some pictures, send them to another and then they'd weave something in response. 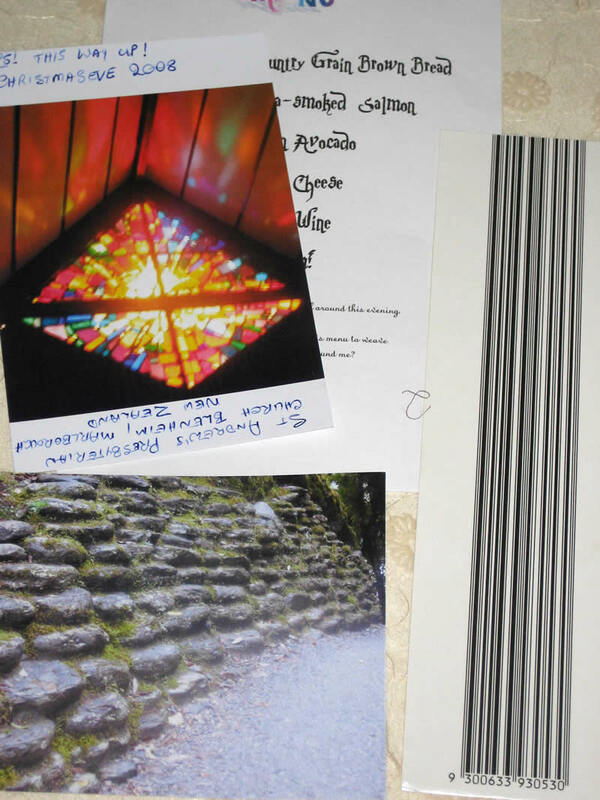 Rose in NZ sent me pictures of some scenes from her country, a barcode image and a menu card with foods listed by color. I must tell you that my initial reaction was to want to tear up the pictures. The barcode made me particularly furious. It reminded me of so many dull weaving shows I've been to that make me say to myself - why are these people doing this??? 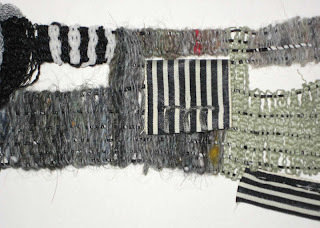 Weaving is so alive and yet there is such a staid aspect to so much of what's shown. So technically competent and yet so stuck in the mud. There, I've said it. Apologies to so many who continue to explore and innovate. 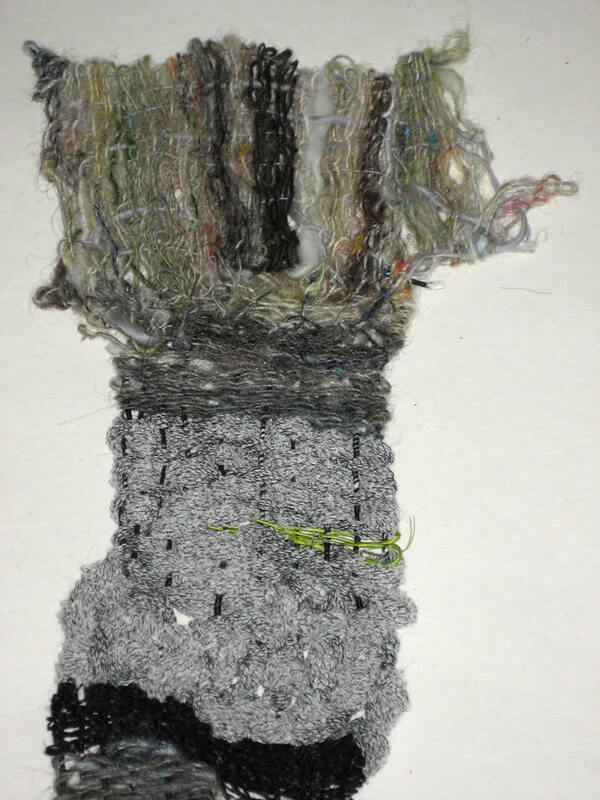 So anyway, frame loom, some handspun yarn from what's left in the drum carder (shown on spindle, at top), some Habu yarns, stripey ribbon - all just a bit off center. Shown in lots of orientations, cuz I like to mix it up. Windows to let light in. Added another piece at an end, woven free loom style. I see the photos reflected, I see my responses. Glad to have been able to consider all that I did while in process of working with it. Well, humor usually helps lighten my mood if I start to get too serious about an issue - start taking it too personally. 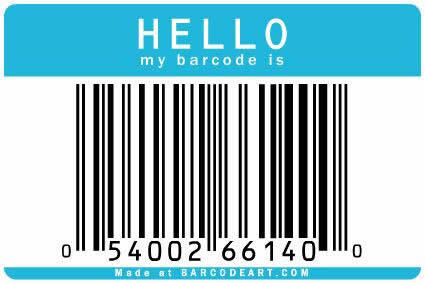 So in that vein, I like this artist's (Scott Blake) take on the barcode - you can generate one for your own self here. 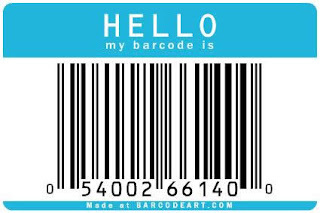 A long time ago, when I was slumming in the illustration/design world, a few people finally realized that even barcodes didn't have to be "standard". Some are here and here. But make no mistake, they're still barcodes - I am not fooled by their fluffy personality. ETA: giving up on trying to make this look good for now.